What is our plan to develop the next generation of leaders? Want to join the Golden LEAF Leaders Scholars Program? As Year 4 Scholars present a thank you to Dan Gerlach, President of the Golden LEAF Foundation, we see the Digital Visual Explorer mosaic in the background. “The teacher and the student create the learning” is a statement I heard years ago and has always resonated with me. When I first heard the statement, it spoke truth to me about the interdependence of learning—a mutual process dependent on the learned and learner to exchange information in a dance for the benefit of increased exploration. 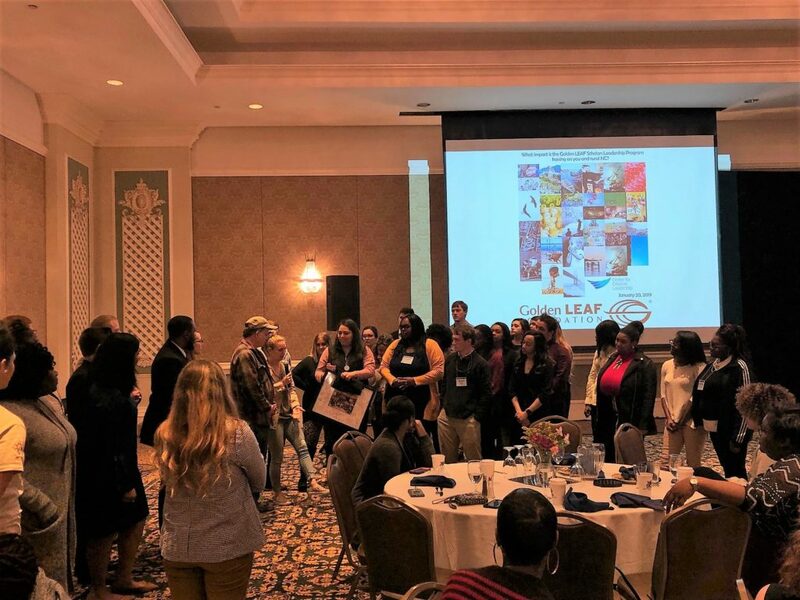 Earlier in November, the new members of the 2018-2019 GLSLP Leadership Advisory Council convened at the Center for Creative Leadership in Greensboro. They met with the GLSLP staff to discuss goals for their fellow scholars this upcoming year. 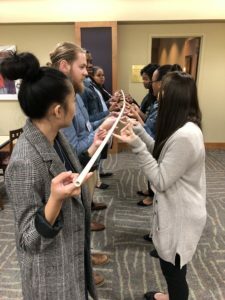 The new members participated in team building activities, event planning sessions, and were able to talk via phone to the President of the Golden LEAF Foundation, Dan Gerlach. These leadership activities allowed them open up to each other and develop peer relationships.